We ensure everything runs smoothly. 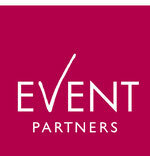 Event Partners always has the right flair when it comes to putting on your event. Because trends are of critical importance to us. Only when we achieve the right tone to match your business objectives and corporate identity can a resounding result be obtained.